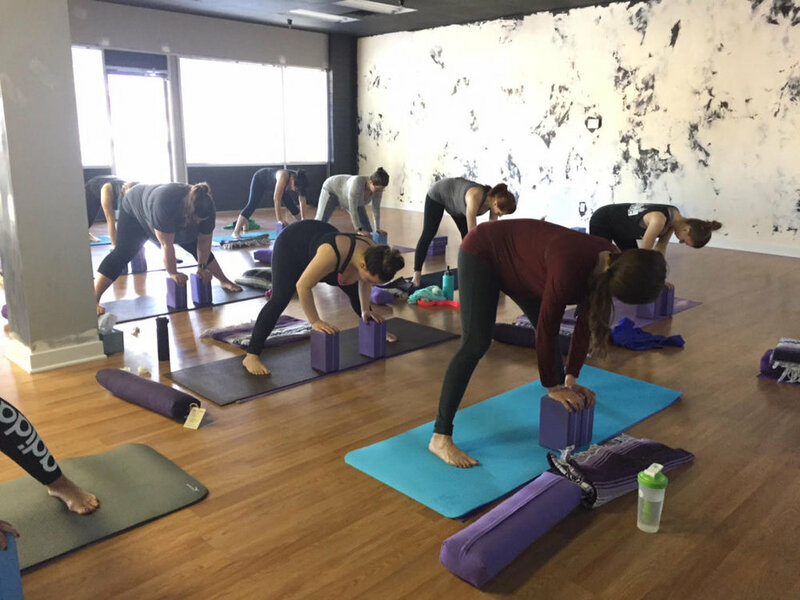 What's been happening at Utah Prenatal Yoga? The decision to consolidate my classes and hold them all at one location led me to a cool new space in Brickyard Plaza. I’m loving the new digs and many of you have been able to see the transition taking place week by week. Thanks for being patient with me while I learn how to use the heat, paper towels, water dispenser, lights…. I could go on… It's really starting to come together now and I'm excited for the finishing touches! It was hard to say goodbye to my friends at Vitalize Studio and Salt Lake Prenatal Massage. Rebecca and the incredible staff of Prenatal Massage Therapists (there are so many amazing ladies I can’t list them all!) have been great adventure-mates over the last few years. If you haven’t been in for a prenatal massage yet get in there ASAP while you still can… the last day for massage appointments is March 25th. The second weekend module included a presentation from Susan McLaughlin with Align Integration and Movement. Susan is a brilliant Physical Therapist who specializes in prenatal and postnatal alignment. If you’re in the Salt Lake City area you are super-lucky that she’s local! If you’re not in the area you can still connect with her and check out her online offerings. Susan teaching the group about breathing, alignment and so much more! Remembering great times with Papa Riley! And to all of you mamas that have landed on the shores of motherhood recently, congratulations! We are thinking about you and sending good vibes. Those of you ladies that have been in the 4th class and headed back to work- you are missed and supported and loved. Rock it out. The adventure continues…Thanks for being a part of my journey and for letting me be a part of yours.